As monsoons begin; one of the most commonly found patients admitted in the inpatient department are the ones suffering from dengue or malaria. These can prove to be deadly if not treated well in time. Dengue Fever: Dengue is a disease caused by the Dengue virus that is seen in Aedes mosquito. The dengue fever is transmitted by the bite this Aedes mosquito. 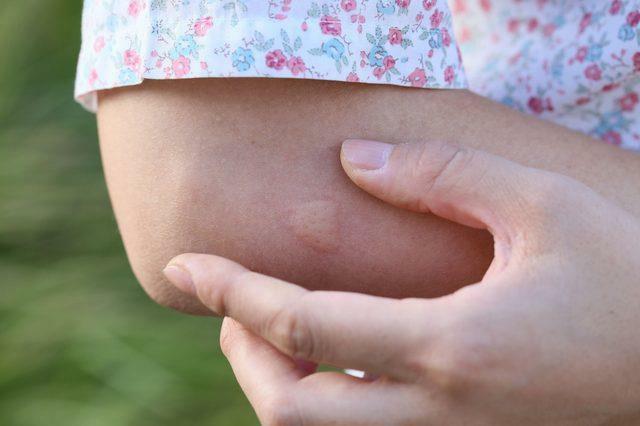 The mosquito becomes infected when it bites a person with dengue virus in their blood. It can’t be spread directly from one person to another. Dengue when left undetected can lead to serious complications and even death in few cases. This disease causes multi-systemic problems and one of them being the eye. We shall enemurate few problems caused by this virus to the eye. We treated a case of Dengue related Eye complication at Advanced Eye Hospital and Institute (AEHI) located at Sanpada, Navi Mumbai. Mr. Seth (name changed) came in with complaints of redness of his eyes that was associated with eye pain and swelling. On asking history he mentioned that he recently was hospitalised for high fever, cough and cold which was diagnosed as Dengue fever with Thrombocytopenia (Condition with low platelet count). He was discharged in a week after being kept for observation and receiving treatment for Dengue. 2 days later he noticed redness in his eyes and had a discomforting pain in both his eyes. He also mentioned about blurring in vision but attributed it to his physical weakness and had ignored it. But the pain in his eyes and redness were worsening which is when he decided to visit an eye hospital. He took an appointment at AEHI eye hospital and was examined. His eye examination test revealed a subconjunctival haemorrhage. Dr. Vandana Jain, Cornea and Cataract Specialist advised to monitor the platelet count and prescribed steroid eye drops which took care of the problem. Today Mr. Seth is relieved and had no complications further. Dengue can be a devastating disease whose complications affect the eyes too. Some of the other complications that one sees in the eye in dengue are mentioned in this article. Subconjunctival haemorrhage, macular chorioretinitis, macular oedema, dengue related optic neuritis, retinal haemorrhage, vitiritis, and anterior uveitis. A) Subconjunctival haemorrhage: The conjunctiva is a mucous membrane that covers the eye and the eyelids. 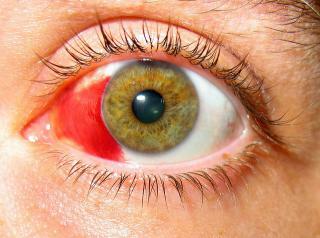 Subconjunctival haemorrhage is a small bleed behind the conjunctiva. The small blood vessels within the conjunctiva may break spontaneously or from injury causing a red area on the sclera resulting in sub conjunctival haemorrhage. B) Macular chorioretinitis: It is an inflammation of the choroid ( it is a layer that is between the retina and sclera) and retina of the eye. C) Macular Oedema: Macular Oedema is the swelling or thickening of the macula, the area of the retina responsible for central vision. E) Retinal Haemorrhage: It is a disorder of eye in which bleeding occurs into the light sensitive tissue on the back of the wall of the eye. F) Vitiritis: It is the inflammation of the jelly in the posterior portion of the eye. 1. If someone in your family suffers from Dengue fever, make sure they get the right treament and always look out for complicatons. 2. If you have symptoms of dengue, visit your Doctor immediately. 3. Use Mosquito repellents, mosquito nets and keep youself safe from mosquito bites. 4. Protect yourself against mosquito bites by wearing appropriate clothing.